Photo courtesy of Falashad on Flickr. Shared under Creative Commons license 2.0. Since my last Walden Wednesday entry focused on a plant I definitely don’t want to see on our homestead site, this week it seems fair to write about one I want to encourage. 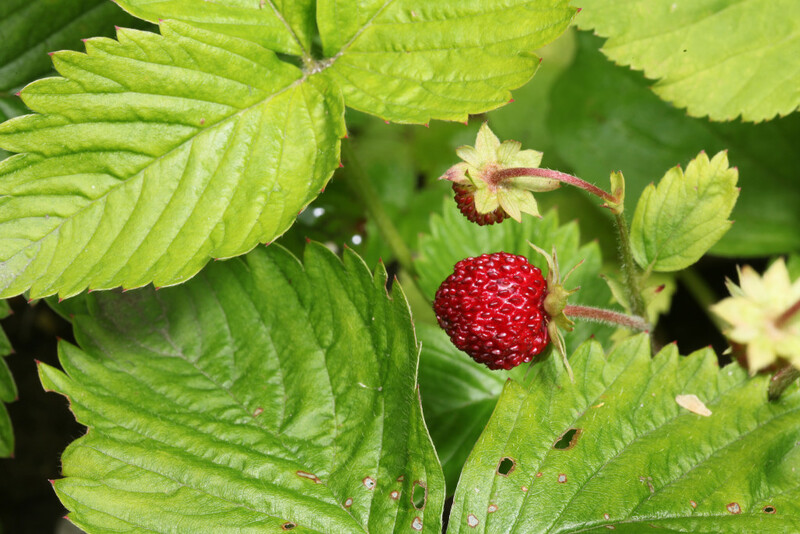 As a little girl, I loved hunting for wild strawberries in the fields and along the woodland paths. The tiny, red berries nestled like jewels amidst their green leaves, smaller and sweeter than the conventional strawberries my parents brought home in plastic cartons from the grocery store. The taste always reminds me of summer and of childhood. So I was thrilled to see the familiar green leaves of the wild strawberry growing along the edge of our driveway. Photo courtesy of Free Photos on Flickr. Shared under Creative Commons 2.0 license. 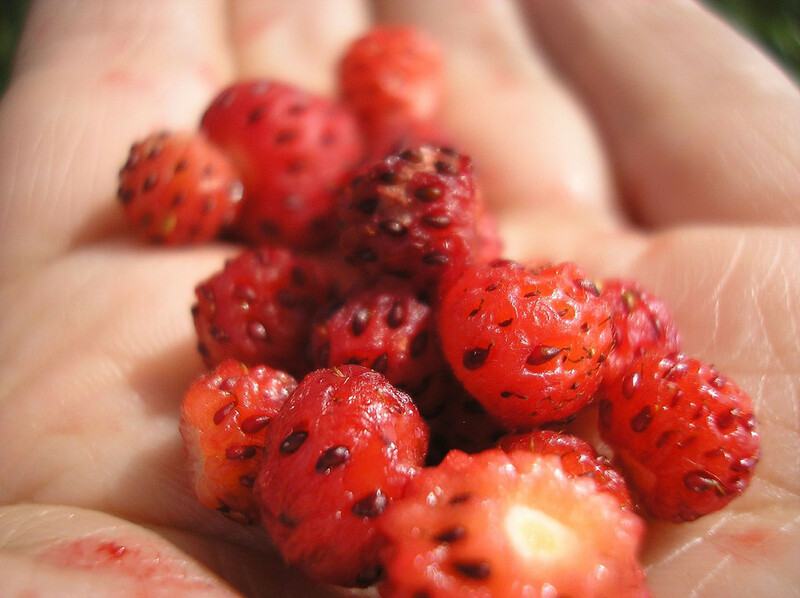 While some people might not be happy about wild strawberries popping up in their lawns and gardens, I want to encourage these strawberries to spread across the homestead. Even without the delicious berries, I’m fond of the green leaves (I don’t have the botanical vocabulary to describe them, but they always remind me of ruffled potato chips). 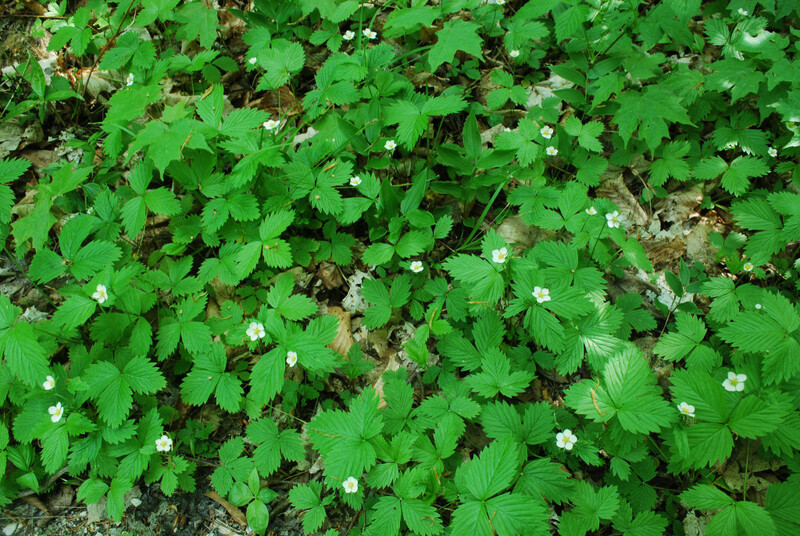 I also learned that wild strawberry leaves are high in Vitamin C and can make a medicinal tea that’s good for stomach aches! Plus, the white flowers that bloom in the spring are delicate and beautiful. Drew and I can’t stand mowing and we think conventional lawns are boring, but we like the idea of low ground covers growing in the open spaces of the site. I can’t imagine a more beautiful — or delicious! — lawn than a field of wild strawberries. Photo by Joshua Mayer on Flickr. Shared under Creative Commons license 2.0. We were lucky to have Drew’s parents in town this last week, so I asked my mother-in-law, who knows a lot about botany, how to encourage our strawberry plants to grow. She suggested bending a wire clothes hanger into a U-shape and using it to divide up the rhizomes. Yesterday, I noticed that the room we are staying in has a lone wire coat hanger in the closet, so I want to try it later this week. I’ll take photos if I do — if it works, it can document the process for other people, and if it doesn’t, it’s a warning of what not to do. A very nice piece of writing Mindy, after being there you described it truthfully and beautifully. If you want this type of ground cover instead of grass, may I also suggest herbs? Creeping thyme would be nice, can take traffic, and would smell lovely as you walked on it. There are many herbs that come in a low “creeping” form that you could use, and you certainly have the space and climate. Another plus, would be that they don’t take very much water and, they never need to be mowed. Just a suggestion, have a look at The Herb Farm, a specialty nursery that is by Snoqualmie Falls. They have the biggest herb collection for sale I have ever seen, and Gary and I could stop by and hold them for you or bring them over. I enjoyed your writing very much, but I find I DO miss you and Andy very much! If you’d like more wire coat hangers…I have some! Anne and I also don’t like mowing and have encouraged moss to grow in our front yard and since we live in within city limits we need to keep our yard somewhat conventional. However, I have mowed around a few patches of wild flowers that started growing and let them bloom before cutting them. We have also discussed ways that we can change our yard to be less of a hassle to mow. So far, our ideas cost more than our budget allows. Some day though. . .